Lunch will be at a fine local restaurant in Hanoi. Following by that we will wander around the city by car to see the real life of Hanoian as well as the difference parts the city. After that we will take one-hour cyclo around the Old Quarter, known as the 36 streets, this bustling area of narrow streets is home to literally thousands of small businesses and shopkeepers. Stopping at Water Pupet Theathe for a show watching then we will be back to the hotel around 05:00 P.M. Then, you are free at your leisure until 09:00 P.M, we will transfer you to Hanoi Train Station for your night train to Lao cai. Having breakfast at the hotel before walking about 10km along the mountain trails or main road to visit Suoi Ho, Matra and Taphin villages which are inhabited by Black Hmong and Red Dzao tribes. Along the way we can come in some schools as well as tribal houses to have experience of local Sapa life. Moreover, the landscape, culture, custom and tradition of Black Hmong tribe of Suoi Ho and Matra villages are preserved from tourists so you can study the raw things here. Picnic lunch will be served on the way. Arriving at Ta phin village of Red Dzao people in the afternoon, you are transferred back to Sapa for your shower. At 04:00 P.M, we will catch our bus to Hanoi. Arriving in Hanoi at 09:00 P.M, you are transferred to the hotel. AM: Pick you up at 8.00am at hotel in Hanoi, then depart for Ninh Binh city towards to the South of Hanoi, it takes about 2,5 hours to get there(130 km). Arrive in Hoa Lu, Visit Hoa Lu – The Acient Capital and the remaining two temples of Dinh King & Le King. 2). 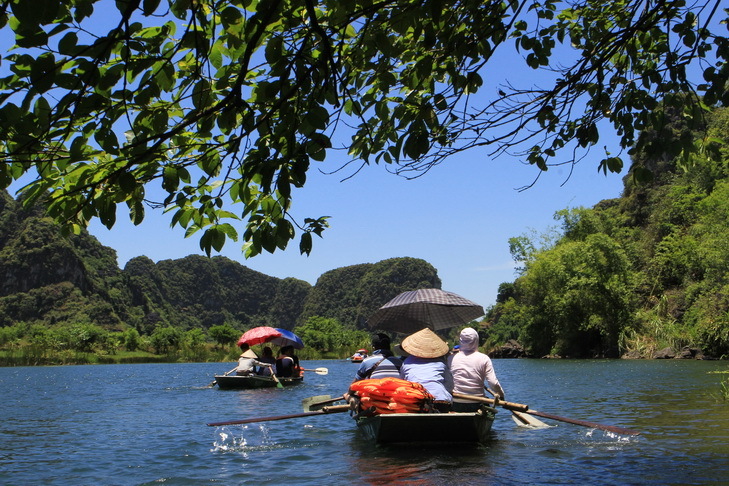 We will arrive in Tam Coc (Three Grottoes). Visit Hoa lu, around 16 km from Tam Coc by car, Take some steps to climb up the viewpoint to take photo of Hoalu panorama, charmed by the marvelous scenery offered by the mountains, rivers and temple, from here We can take the car or moving to Tam Coc by bike. Take a bike then cycle along the village roads with beautiful sightseeing and friendly local people. Today, you are free at your leisure until the time being transferred to the airport for your flight back home. Since this is privat tour, the price per person varies and depends on many aspects, such as your group size, the hotel ratings and your departure date. If you want to get a custom price quote for this tour, please fill out the online inquiry form and give you as much information as possible about your trip. Your online travel consultants will be at your service and help you make the most of your travel time and dollars! Pack essentials, including light comfortable clothes suitable for outdoor activities, hiking shoes and small day pack, warm clothes in the winter time in Vietanam (from November to March).